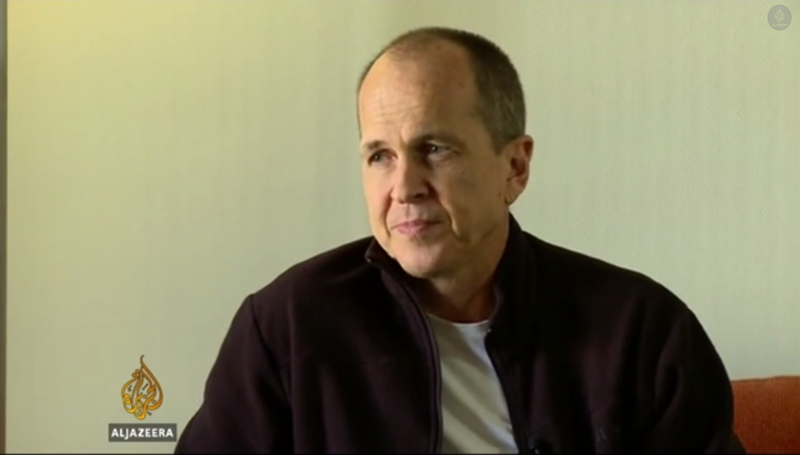 In his first interview since his release from an Egyptian prison, Peter Greste has revealed his extreme angst at leaving behind his colleagues but also expressed relief. “I feel incredible angst about my colleagues, leaving them behind. Amidst all this relief, I still feel a sense of concern and worry. If it’s appropriate for me to be free, it’s right for all of them to be freed,” said the Australian journalist. Greste explained that the release from prison and deportation took him by surprise. While jogging as part of his exercise, the prison warden called him over and told him it was time to go. Yet, despite the sense of euphoria Greste has said he has felt from the massive campaigns to release him and his colleagues, the journalist warned that those still in jail need help. “I’ve got to know and accept Baher and Mohamed as family; they’re my brothers,” admitted Greste. “Mohamed Fahmy is an extraordinary professional, a dedicated journalist, very passionate and a strong-willed character,” said Greste about Fahmy, who is expected to be released ‘imminently’ according to Canada’s Foreign Minister. However, it is Baher who Greste is mostly concerned about. Peter Greste was deported from Egypt on Sunday after Egypt’s Abdel Fattah Al-Sisi signed a decree that allows the deportation of foreign citizens accused of crimes. Mohamed Fadel Fahmy and Baher Mohamed, both who had been sentenced to at least seven years in prison prior to a court accepting their appeal in January, remain behind bars. He Had To Choose Between His Egyptian Nationality And Freedom. He Chose Freedom. What's Wrong With This Advertisement? It Has A Muslim Woman In It. What’s Wrong With This Advertisement? It Has A Muslim Woman In It.